I can't believe how long that took me to figure out. OMIGOD!!!! THAT IS SOOOOO CREEPY!!!!! WHY ARE THEY SITTIN ON A DUDE?????!! 。its creepy but you can tell it was photoshop maybe it was my friend from the uk who did it! I'm confused... Leave it to the original blonde whose favorite color is black. very creepy with the man. 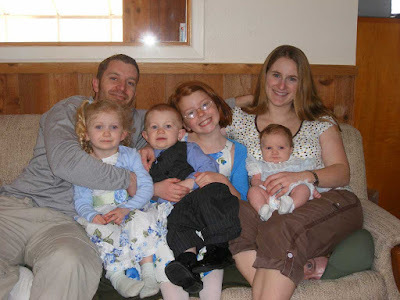 But a before I found that out I was like A REGULAR NORMAL FAMILY?? HOW IRREGULAR! THE HORROR!! THR HORROR!! But that is still creepy. Who are they sitting on!?! Is he still alive!?! I don't get it.... oh wait! is it the person they're sufficating???? Very, very nice. Simply lovely.That,my love, you see, is not right at all. Who are they sitting on?!?!?! That's so creepy! wat? just the face? weird. OMG!!!! It took me a while to figure that one out!! i was focused on the windows because thats where there is usually a creepy ghost or something. when i saw that face i literally screamed out loud and jumped outta my chair lol. Kristen Miiller can i ask where you find these amazing things for ur blog?? I was looking and then I noticed that this one cushion was a smidgewidgen off. LOL that's crazy. the proportions aren't right. the eye on the sat-on face is way bigger than those on the family. I would assume that it's photo shop. Or some weird pillow that the family has on their couch that the mom sat on the wrong way. I dunno. I find his apparent lack of a body disturbing. Oh dear, I seem to have run into the other 42. I am, in fact, a different person then the one who posted at 7:07. I myself have been called "the ugly cousin in the basement." Poor man, I have nothing but empathy for your plight. OMG! At first I couldn't really figure out why Kirsten said that it was creepy (Except for all the smiles that were obviously hiding somthing), so then I look at the replies and everyones like "Aaaahhh a face!" SoI was looking in the mirror, and then It was like BANG. That is sooo creeepy. I didn't get it! Then I read the comments and I was like "HOLY CRAP!" I'm your typical blonde. I was staring and staring and staring and staring and- you get the point by now, right?- I finnaly saw the person they were sitting on! I'm spazzing out now! That mom is the real creepy one of the family. Her eyes are wacko!! Omg!! That is sooo weird. At first I'm like, yeah they do look pretty weird...... then I'm like Oh MY GOSH. That took a ridiculous amount of time for me to figure out. But that is SERIOUSLY scary. Hah. Funny. At first, I thought it was the mom's ankle, with an eye tattoo, like in A Series of Unfortunate Events. Then I realized it was actually a face. My theory, however, is there was a picture of a face on one of the pillows on the couch and the way they were sitting, it looked like they were sitting on a dude. At first I didn't see it until I read the comments, and I JUMPED when I saw it 'cause it's the middle of the night and it's all dark and it's creepy! i dont get it. what so wrong about a normal family? OH MY GOD that's so creepy! I had to read a few comments before i figured out. CHILLS! I'm gonna have nightmares! One question: Was that dude alive? He looked pretty freaked. P.S. If that's an ordinary family I'm leaving the Earth and moving to Mars. I was staring at it 4 the longest time. At first I thought that there was something in the window like a reflection. It took all my friends to point it out 2 me and then I was just like "Oh crap crap crap crap CRAP!" I was sincerely scared. My friend told me she actually shrieked when she saw it.